Ex-Microsoft guy John Grispon came to Eat My Words for a cool name and tagline for his new marketing consulting company. 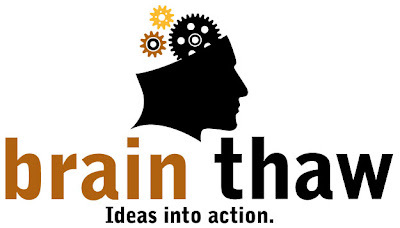 Since John helps people put “ideas into action,” we named his company Brain Thaw. We love John and it’s not just because on the side he’s a dreamy print model and was George Clooney’s stand-in on the new flick Up In The Air. Well, okay, that might have something to do with it.